JJ Goodman, of London Cocktail Club and Craft Cocktail Co. renown, has written a book. Kitchen Cocktails, released this month and available for £30, is about making cocktails at home, using accessible kit and supermarket ingredients. 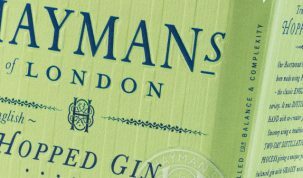 Recipes are stripped back and simple, falling very much into the ‘easy and fun to drink’ category, as opposed to being an exercise in masturbatory mixology. While written more for consumers than members of the trade, there is a lot to be said for ‘simple and stripped back’ cocktail recipes, so even seasoned bartenders will likely find some inspiration within the book’s pages. This sort of drink also lends itself to event catering and bartenders who ply their trade at weddings, bar mitzvahs, and festivals will no doubt find Kitchen Cocktails useful. 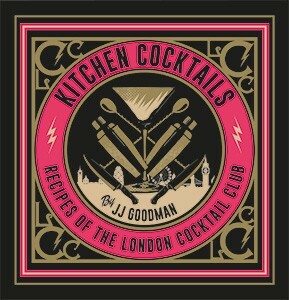 Kitchen Cocktails can be purchased from JJ Goodman’s website. And, the man himself has kindly set aside two copies for BarLifeUK readers. To enter the prize draw, simply fill in the form below and click submit. Previous Post Donate Clothing and Receive Free Beer Courtesy of The Five Points Brewing Co.